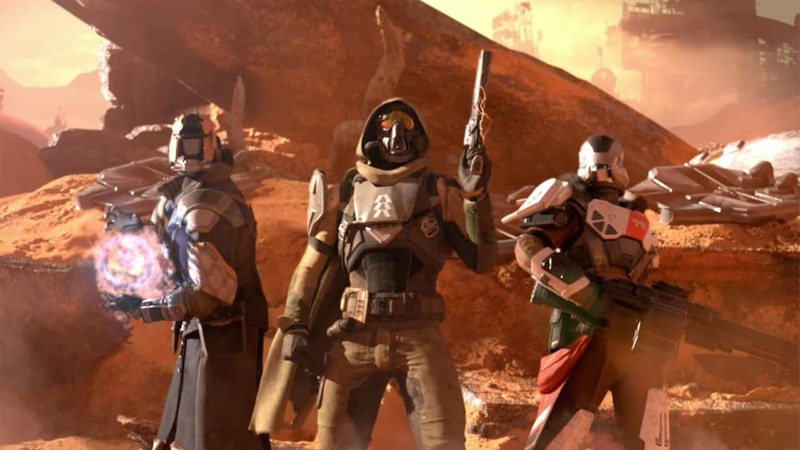 As most gamers know, Bungie released Destiny 2 last month. The game is jam-packed with new adventures, a great storyline and even more outrageous gear with which to customize your characters (and lets face it, those outfits are the only important part of the game – that and dancing). Now imagine if you could become a guardian in real life. Well, you can with these super awesome Destiny 2 3D prints. 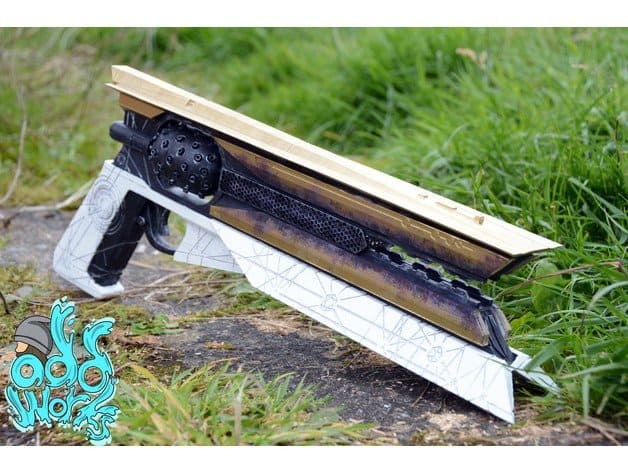 Oddworks designed a 1:1 scale model of the Sunshot – an amazing Exotic Hand Cannon with explosive ammunition that allows you to track your enemies. The weapon is obtained in the Destiny 2 campaign mission, Sacrilege. Thanks to modern technology, you can use this Destiny 2 3D print to make your very own replica hand cannon! You can do so by choosing to print the Sunshot in many different pieces or you could print it in one whole piece. As an experienced 3D printer owner, would not recommend the latter. If you are interested in 3D printing your own Sunshot gun, you can get the file here. JustTheBigBaby has created 1:1 scale models of a set of amazing (but sort of weird looking) weapons. To me, they kind of look like they have come straight out of a Star Wars movie! These weapons are known as Sturm and Drang, and are said to be one of the best combinations you can use in Destiny 2’s Player Versus Player (PvP) mode. These weapons may look like dinky little toys, but they pack a serious punch. If you want a pair for yourself, you can find the files for the Sturm here and Drang here. Both of these designs are structured to print in multiple pieces, making your clean up time easy. They are also pretty simple to assemble. 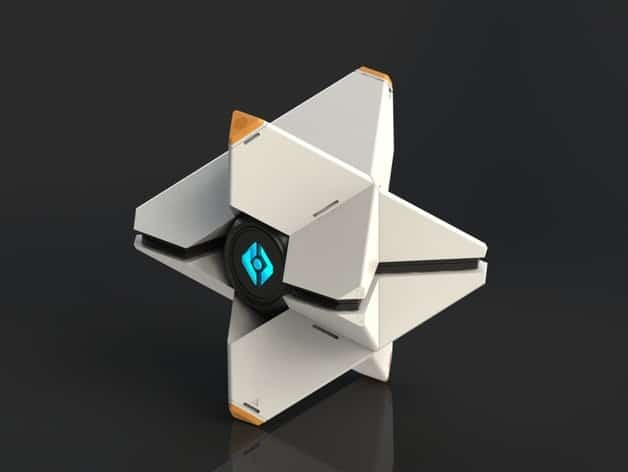 If a weapon is not your style, why not print your Guardian’s famous sidekick… the Ghost?! BoldPrintShop has made a 1:1 scale model of the Ghost. It even has a space for you to install a LED to make your Ghost really “come alive”. The nice thing about its simple design is that it allows you to customize your Ghost in any way you want. This design comes in multiple parts to make it easier to personalize. 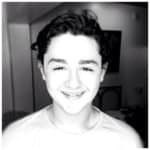 You can find the files here. One of the best characters in the Destiny universe would have to be Cayde-6. He is a robot hunter with a great sense of humour and always finds himself in some kind of trouble; no matter where he goes. 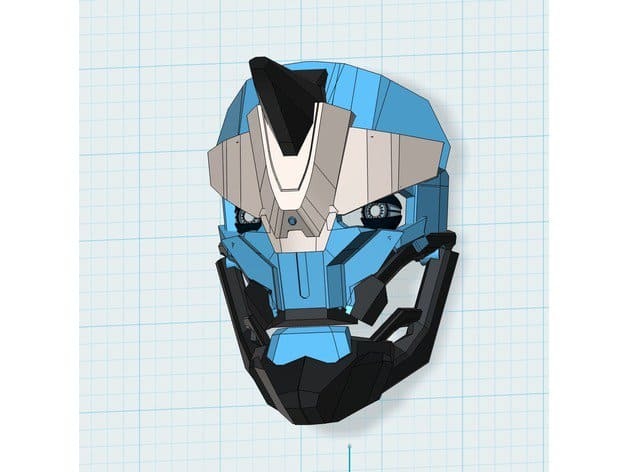 DamaskProps has made a great replica of Cayde-6’s mask, which captures his robotic details down to the tee (I must say this is one of the best I have seen). After you 3D print his mask, all you will need is his chicken sidekick, and you will be ready to save the Traveler… again. It is a multi-piece print with many parts, but those minutes spent cleaning each piece will be worth it in the end. If you want to look as cool as Cayde-6, you can get the files here. Every single Destiny player is familiar with that sweet feeling that occurs when, after several gruelling hours, you finally defeat that difficult raid boss; and you see that yellow Engram drop. 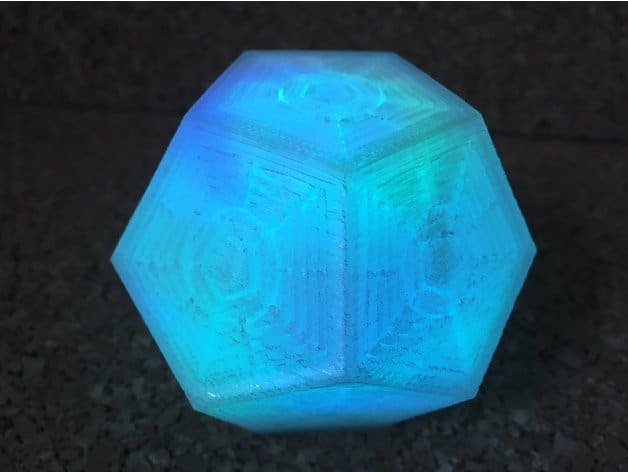 Well, now you can 3D print your very own Engram. This Destiny 2 3D print will still take you a few hours to complete, but at least you can busy yourself with some Crucible action or timed events in the meantime. Even better, the hollowed Engram can be converted into a cool desk lamp with a little do it yourself (DIY) work. Thereafter, you will have a really cool piece to show off to your friends. This is one of my favourite Destiny 2 3D prints, and you can download the files for this illuminating print right here. These Destiny 2 3D prints are only a small sample of many cool design that people have made. Do you have a favourite? If so, let me know in the comments.